They have an engraving that has been scratched off and are tested and working otherwise. May have small dents or very minor hot spots. These are tested and working - in fair to good shape overall. All have been fully cleaned and wipe. No iCloud locks etc. Ready to use! The battery life of this iPad 2 is reportedly 10 hours surfing the web on Wi-Fi, watching video, or listening to music. Network Wifi Only. All devices are thoroughly inspected and tested for functionality and lock status. Apple Black iPad 2 16GB Wi-Fi Bluetooth Tablet A1395 EMC 2560 MC769LL/A Bundle. A sync cable is included. • Tested for Key Functions, R2/Ready for Resale. Up for sale is a Apple iPad 2 16GB, Wi-Fi (A1395) 9.7in - Black. The iPad is fully functional and works great. The iPad has a small imperfection. The iPad has a small dead pixel on the LCD Screen. It's been formatted and ready to go. This unit is tested and it is working fine. INTERNATIONAL OR. ALASKA/HAWAII/PUERTO RICO OR. Apple iPad 2 16GB, Wi-Fi, 9.7in Tablet - Black (MC769LL/A) A1395 TESTED WORKING. Surface scratches on face. Only comes with iPad. Has markings and adhesive on the back. No iCloud lock. Condition is Used. Shipped with USPS Priority Mail. Apple iPad 2 - A1395 / 16GB Storage / Wi-Fi Only Black/ Includes Kate Spade Case. Condition is Used. Good shape. Small ding on corner, case hides it though. See pics as they are the main description. Apple iPad 2 A1395 - 16GB - White. Comes with pictured case and charger. No cracks and is unlocked. iPad works. Condition is Used so sold as is. Shipped with USPS Priority Mail. Any questions, just ask. All have been fully cleaned and wipe. No iCloud locks etc. Ready to use! Local Pickup. Apple iPad 2 A1395 MC769LL/A 16GB, Wi-Fi, 9.7in - Black. Condition Code Tested for Key Functions, Data Wiped, Factory Reset. IPad A1395. BUNDLE INCLUDES Logitech Ultrathin Y-R0032 (820-004646) Bluetooth Keyboard (shown). INTERNATIONAL OR. ALASKA/HAWAII/PUERTO RICO OR. Up for sale is a Apple iPad 2 16GB, Wi-Fi (A1395) 9.7in - White. The iPad is fully functional and works great. The iPad has a small imperfection. The iPad has a small chip crack on the white border of the screen. 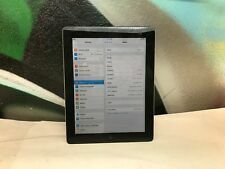 Apple iPad 2 Black 16GB, Wi-Fi, 9.7in - 2nd Gen, Unlocked (A1395) BIG SALE!! 1.33lb (600g). Unit Weights Wi-Fi (802.11 a/b/g/n) Bluetooth 2.1. We love what we do and we do it with integrity. We are accountable, and approachable. We'd love to hear about it. Having an issue?. We want to find the solution. We will make the situation right, or help you to the best of our ability. Apple iPad 2 16GB Wi-Fi 9.7in Silver Model A1395. Condition is Used. Shipped with USPS Priority Mail. iPad is in very good working condition. Battery charges. iPad has been reset and removed from account. There are some screen scratches that are only visible when the iPad is off. My grandson’s name was etched on the back and I have removed it for privacy. (See photos). I will not accept any offers to sell outside of the eBay process to protect buyer and seller. All of the items I am selling are to benefit my 95 year-old-grandmother so she can remain in her home so thank you from my family for your bid. Apple iPad. They are used and will have scuffs, scratches, and other marks on the back case cover. THIS IS NOT ICLOUD LOCKED. This iPad is fully functional and in excellent working condition. It does not affect the functional integrity of the device whatsoever. If you would write ‘Recycle” on the outside of the box and send it back we will make sure your item gets processed through the proper local downstream when it arrives! Apple iPad 2 16GB, Wi-Fi, 9.7in - Black*A1395*EXCELLENT! 4.5 out of 5 stars - Apple iPad 2 16GB, Wi-Fi, 9.7in - Black*A1395*EXCELLENT! 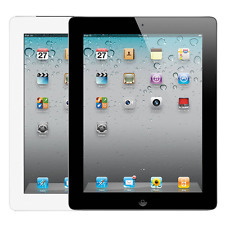 2,776 product ratings2,776 product ratings - Apple iPad 2 16GB, Wi-Fi, 9.7in - Black*A1395*EXCELLENT! Tested and working. No cracks in the screen. No iCloud. No accounts. The iPad has a clean serial (no iclould locked) and is ready use. except for one crack on corner (third picture) which does not affect functionally oftouch screen and LCD themselves. The back and the corners has minor scratches and wear that are hardly visible. Model: A1395. Manufacturer: Apple. THINK GREEN. This tablet is used and is in good working order. Item has good sound quality. Electronics Cafe specializes in used electronics. max-width: auto; }. Local pickup is always an option. The item up for sale is a USED " Apple iPad 2 A1395 9.7" 1.0GHz Apple A5 16GB Storage Black WiFi Only MC769LL/A ". Processor: 1 GHz dual-core Apple A5 system on a chip. I was able to power on the device and reset it back to factory settings. The item up for sale is a USED " Apple iPad 2 A1395 9.7" 1.0GHz Apple A5 16GB Storage WiFi Only Black MC769LL/A ". Processor: 1 GHz dual-core Apple A5 system on a chip. I was able to power on the device and reset it back to factory settings. We have fully tested each unit and reset their settings back to factory default. All units have clean iclouds and are ready to be setup. ** see photos for physical condition** -ipad works just fine - no issues -iOS 9.3.5 -great for youtube and simple web browsing -battery life is great - can easily get over 5 hours on full charge -comes with USB cable only!! (NO wall plug) goodluck on bidding !! Notes : This iPad has several long scratches on the back of the tablet. No accessories are included. • Tested for Key Functions, R2/Ready for Resale. Model: A1395 Storage/Capacity: 16GB Carrier: Wifi Only Activation Lock: OFF/NOT ICLOUD LOCKED Serial: DMRGF9XVDFHW This board is fully functional compatible with housings marked with model number A1395 Wifi. Last 2 pictures show board being tested, board will come as shown in the first 6 pictures. Trending at $41.16eBay determines this price through a machine learned model of the product's sale prices within the last 90 days. We want you to receive a product that you are excited about! We appreciate your diligence in this regard! Condition: Pre-Owned. Residue is present as well. Screen size: 9.7". LOCAL PICK UP. DOES NOT INCLUDE MANUAL - CAN BE DOWNLOADED FROM APPLE. FACTORY RESET - READY FOR USE. GRADE A - EXCELLENT CONDITION. Apple iPad 2 16GB, Wi-Fi, 9.7in - Black A1395 (MC954LL/A) - Tested and working. iOS version 6.1.3. We are happy to resolve an issue of any misrepresented item. Works great. iCloud unlocked and factory reset. No accessories or charger. Fast well protected shipping. This Ipad is in Great condition (8-9 out of 10). -The iPad is fully tested and works perfectly. We typically respond rather quickly. APPLE IPAD 2 16GB A1395 MC980LL/A WHITE - IPAD. Condition is Used. Shipped with USPS Priority Mail. Model: A1395. Manufacturer: Apple. Electronics Cafe specializes in used electronics. max-width: auto; }. Local pickup is always an option. Model: A1395 MD769LL/A. Storage: 16GB. The battery life of this iPad 2 is reportedly 10 hours "surfing the webon Wi-Fi, watching video, or listening to music. Manufacturer: Apple. Web Cam: Yes.